Tomorrow, we enter into the holiest week of the Church’s year. If you experienced God’s love and mercy in a new and powerful way this Lent, Holy Week may be something you’re looking forward to. But maybe you struggled to stick to your resolutions or didn’t make really sound ones in the first place. Then, seeing “Palm Sunday,” “Holy Thursday,” and so on in your calendar may feel daunting. Or perhaps life threw you some curveballs lately, and you don’t really know what to think about your relationship with Christ. No matter where you’ve been, Holy Week can be a fruitful and hopeful time for your spirit. Consider the Apostles during that first Holy Week: Jesus told them what was going to happen, but they couldn’t fathom His predictions coming to fruition. It seemed too farfetched, too unbelievable, too impossible. And yet we know that all things are possible in Christ—even rising from the dead! The Church lives and breathes, in large part, on tradition. You may have practices that you turn to in this season each year that continue to be fruitful and life-giving. 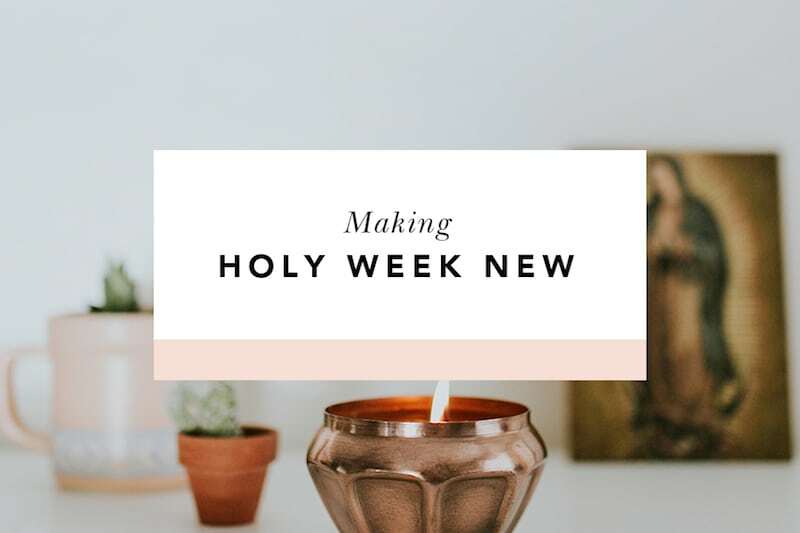 But even if you do, I echo my own pastor’s challenge from the Sunday before Lent began: make this Holy Week different from any you’ve experienced before. Open your heart a little wider. Create a little more space for God to move in your life. Let His grace call the shots and, inspired by our Blessed Mother’s fiat, say “yes” to wherever He may lead you this week. To get you started, here are some ideas to live each day of this Holy Week with intention. Remember, even in darkness, even in despair, Christ makes all things new. Before you plan your meals for this week, take stock of your pantry. What food do you already have? Canned soup? Tuna? Rice, quinoa, couscous? Look in your freezer as well. Frozen vegetables? Meat? Microwave dinners? Too often, we take what we have right in front of us for granted. This week, be nourished by the sustenance God has already provided for you. Use the money you had budgeted for groceries to provide meals for someone (an individual or an organization) who is in greater need. Go to Confession. Many parishes have additional hours during which the Sacrament is offered this week (and if you’re not comfortable with a priest you know, normally there are some new faces present!). To prepare, work through an Examination of Conscience. 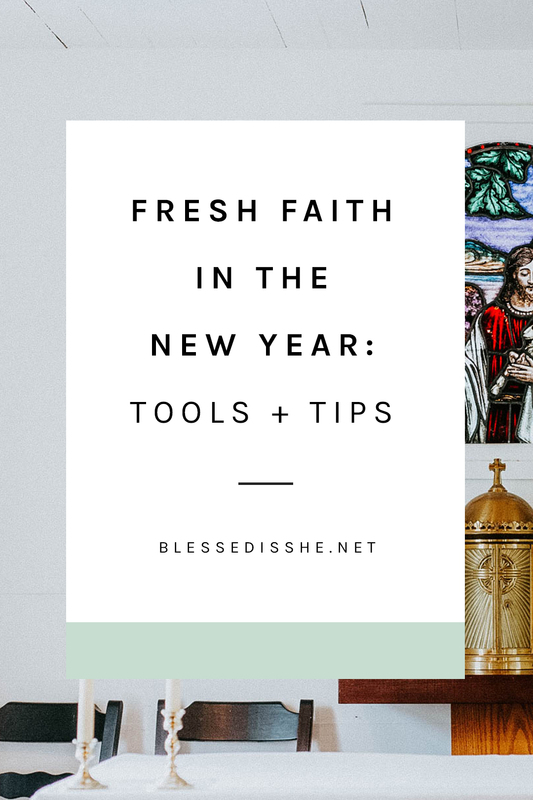 Often resources are available near the confessional, but you can also find versions online (like this one from Blessed is She) or simply work your way through the Ten Commandments. How have you abided by or broken each one since your last Confession? Once you do receive the Sacrament, begin incorporating a nightly Examination of Conscience into your prayers to better prepare for next time. Replace your typical evening activities with a viewing of The Passion of the Christ. Invite your BIS sisters to bring over a journal and join you. After the film, take a few moments to write about the scenes that moved you. If you’ve seen the movie before, what struck you differently this time? What might God be telling you through this reflection? Share your thoughts and pray together for increased hope and trust this week. Wed your prayer time to creativity and color your reflections. A number of adult coloring books are available that incorporate religious images and phrases, some specifically for Lent. Brew a pot of tea and invite the women you’ve met in your local BIS sisterhood to bring their pencils, pastels, and paints over. Try Coloring Lent: An Adult Coloring Book for the Journey to Resurrection, The Mysteries of the Rosary: An Adult Coloring Book, or The Stations of the Cross: Catholic Coloring Book Devotional. Participate in your diocese’s Chrism Mass, which takes place either on Holy Thursday morning or an evening earlier in the week. The priests of the diocese gather with the bishop for this Mass, where three oils that will be used in sacraments throughout the year—the oil of catechumens, the oil of the infirm, and holy chrism—are blessed. In the evening, plan to attend Holy Thursday Mass as well. Here, witness the washing of feet and the consecration of the Eucharist (which won’t happen anywhere tomorrow!). In addition to the traditional Good Friday service, pray the Stations of the Cross either with a group or on your own. St. John Paul II prayed the Stations every Friday! Experience these fourteen moments on Christ’s road to Cavalry in a new way with Soul Core, a method that integrates body and soul in a “a gentle path to grow in virtue and interior peace.” Today is also the day to start the Divine Mercy Novena, so that it finishes on Divine Mercy Sunday (the Sunday following Easter Sunday). Sign up with Pray More Novenas to get the prayers delivered to your inbox each morning. Attend your parish’s Easter Vigil. This Mass is a special opportunity to pray with and for those candidates entering the Church through the Rite of Christian Initiation of Adults (RCIA). The Mass begins with a darkened church, a tangible sign that Christ is “the light of the human race; the light shines in the darkness, and the darkness has not overcome it” (John 1:4-5). The time of waiting has passed. Now we rejoice! He is Risen, alleluia! Easter is such a big deal that the Church celebrates it for eight days! Make the octave of Easter special by continuing to incorporate prayer into each day. Put 3 p.m. next Sunday on your calendar, too, as it’s prime time to pray the Divine Mercy chaplet. Look for a local parish that may incorporate adoration into a sung chaplet—you’ll never look at 3 p.m. the same way again. The revelations St. Faustina Kowalska received from Jesus in the early twentieth century assure us that God wants us to pray for His mercy, to be merciful to others, and to totally trust in His son. As Lent comes to a close, hopefully you have experienced these truths in a new and resonating way. Now, we are called the same way the first disciples were at Pentecost: go out and spread the good news! How do you celebrate Holy Week? Are you incorporating any new forms of prayer or celebration this year? Let us know in the comments below! 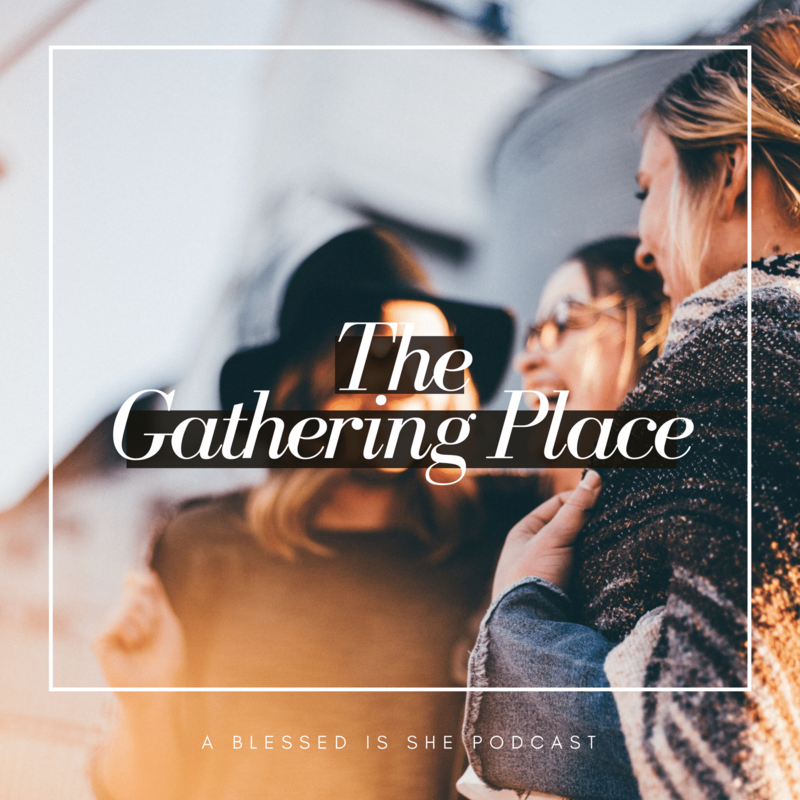 Lindsay Schlegel is a daughter of God, wife, mother, writer, and editor. She lives in New Jersey with her high-school-sweetheart-turned-husband and their kids. You can find out more about her here. This post contains affiliate links. That means if you make a purchase by clicking through one of our links, we receive a small portion of your purchase at no additional cost to you. 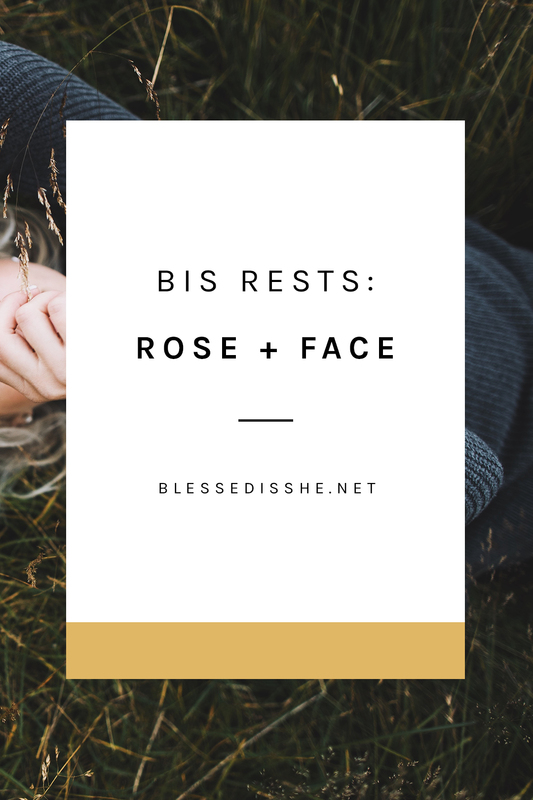 Thank you for supporting Blessed is She in this way!